The main part of the meeting with the boys was devoted to the discussion of gender issues: the role of men in solving problems, recognition and protection of women's rights. In the second part of the meetings was devoted to role games. The games concerned both school and family matters. The boys especially like this part, and they see themselves in these real stories. In the end, they talked about the final meetings, they chose 2-3 leaders, who will prepare presentations in February. 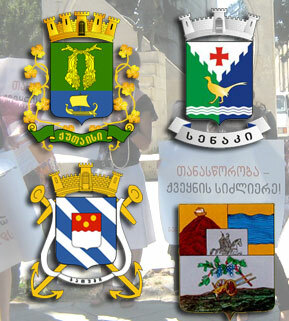 The ordinary meetings with the boys were held in the municipalities of Zugdidi (January 18), Lanchkhuti (January 21), Terjola (January 22), Tskaltubo (January 23), Khoni (January 24), Poti (January 25), Ozurgeti (January 28), Senaki (January 29).